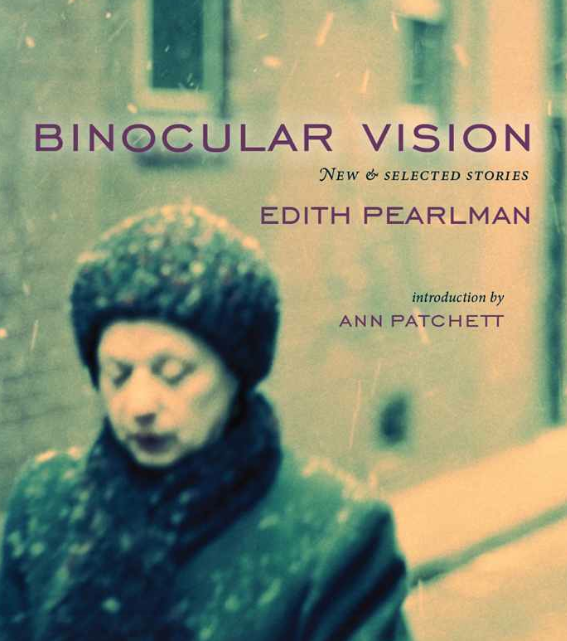 I have been trying to fathom what it is about Edith Pearlman’s marvelous Binocular Vision (Lookout Books, January 2011) that makes this story collection such a treasure. That is why it was almost a relief to stumble upon the “cautious words” quote attributed to her and referenced in the title of this review. In truth, there doesn’t seem to be a single recklessly placed word in the 34 stories—13 of them previously unpublished—of this, her most recent collection. How then, I kept wondering in making my way through one astonishingly understated tale after another, could it be that I’d never heard of Pearlman before my partner’s enthusiastic recommendation? Happily, I’ve since discovered, I can take comfort in the fact that Binocular Vision and its author seem to have taken even much of the mainstream literary establishment by surprise. This is strange given that Pearlman is the author of over 250 works of short fiction and non-fiction, as well as three previous story collections; it is doubly strange when one considers that Binocular Vision is the only book ever to be nominated for the National Book Award, the Story Prize, and the National Book Critics Circle Award in the same year. That distinction will, in short order, prove justifiable to anyone fortunate enough to undertake Pearlman’s collection of short fiction. This reader, for one, would be hard pressed to recall stories more alive with intelligent, thoughtful, highly principled characters—men, women, and children confronting a variety of human predicaments odd and frightening, heartbreaking and humorous. I can honestly say there isn’t a story among the 34 that I didn’t like and there are at least five or six that I count among the best I’ve read. That Pearlman’s protagonists face their individual dilemmas while maintaining an eerie sense of calm detachment seems in keeping with the author’s “cautious” approach to story telling. Indeed, Pearlman’s prose is so deceptively simple and coolheaded, so composed, that the reader sometimes barely notices the thermostat being turned up a few emotional degrees until suddenly, they are in the flush of a breathtakingly revelatory moment. In the story, “Inbound,” a precocious seven-year old girl accidentally separated from her parents during a Boston day trip undergoes an intellectual/psychic transformation and returns to her parents in the first blush of a dawning adult sensibility. She foresaw…that as she became strong her parents would dare to weaken. They too might tug at her clothing, not meaning to annoy…She felt her cheek tingle, as if it had been licked by the sad, dry tongue of a cat…She had to return to her family now; she had to complete the excursion. In the beautifully moving “Tess,” a mother looks in lovingly on her bedridden daughter, afflicted from birth with permanent physiological and neurological damage, and then calmly surpasses—in a single compassionate act—all the well-intentioned humanity of an entire hospital’s professional staff. I got the toy she liked best from the windowsill. The red floppy dog. They always forgot it. I put it in a corner of the crib. Then I unscrewed the end of the heart tube from the aqua clothespin and I slipped it under the blanket so the blood would pool quiet and invisible like a monthly until there would be no more left. In another gem, “On Junius Bridge,” a scrupulously reserved innkeeper—whose establishment provides safe-haven to an ever-changing gaggle of introverts and misfits—foils the kidnapping of a wealthy guest’s autistic son and is shocked to find herself offering a well rehearsed sanctuary. She favored him with her expressionless gaze. “I could keep the boy,” she heard herself cry. “No,” he said, perhaps sparing her, perhaps turning the remainder of her life to ash. The collection’s final piece, the stunning “Self-Reliance,” presents a retired physician in her 70s who, confronted with resurgent cancer, decides to navigate life’s ultimate challenge with typical independence. Cornelia pushed off vigorously, then used a sweep stroke to turn the canoe and look at the slate roof and stone walls of her house…Then, as if she were her own passenger, she opened a backrest and settled herself against it and slid the paddle under the seat. She drank her concoction slowly, forestalling nausea. These are stories that steer clear of facile epiphany, that (as in real life) rarely achieve resolution, but that relish—always with an understated modesty—the sudden disclosure of a simple, sometimes unexpectedly fundamental, verity. Perhaps it really is, then, that brilliantly executed modesty, that ‘cautious’ artistry, that renders Pearlman’s stories so beautifully and completely…convincing. 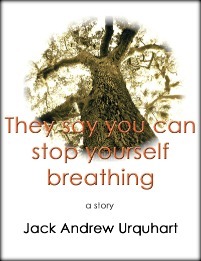 Like this review, each story is a distillation, just the essence remains for the reader to behold.